This general-purpose, entry-level stethoscope is an excellent, affordable choice for basic blood-pressure and limited physical assessment. 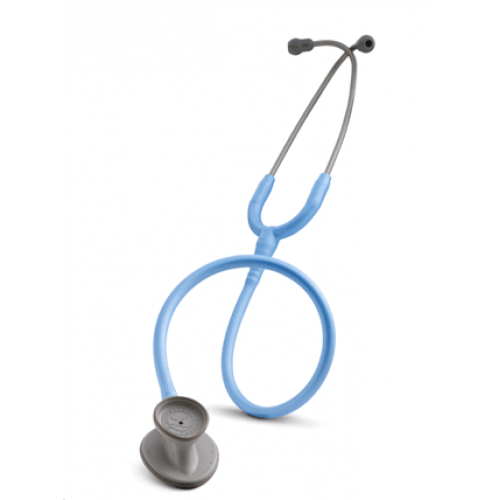 Littmann quality is apparent from the soft-sealing ear tips down to the combination bell/diaphragm chest piece. The chest piece is designed for better orientation around blood-pressure cuffs and body contours, and provides clear, reliable acoustic performance. Patented 3M™ Littmann® Snap Tight Soft-Sealing Eartips provide an excellent acoustic seal and comfortable fit. Plus, the tunable diaphragm, for easy low- and high-frequency monitoring, and lightweight design add even more convenience. Unique chest piece shape designed for better orientation around blood-pressure cuffs and body contours. Tunable diaphragm allows the user to conveniently alternate between low- and high-frequency sounds without turning over the chest piece. Combination bell/diaphragm chest piece provides clear, reliable acoustic performance and easy low- and high-frequency monitoring. Used for limited physical assessment and blood pressure of a patient.